Are you experiencing fear and self-doubt about getting back to your normal pre-cancer life? Are you confused and unsure of what your new normal is? Do you feel differently about the work you used to do, the priorities you used to have and the things that were important to you pre-cancer? Are you having a hard time recognizing the new you? Do you want a healthier lifestyle but don’t have the motivation to get there? I am a Certified Health and Life Coach who is passionate about exercise and the positive effects it can have on a person’s life. 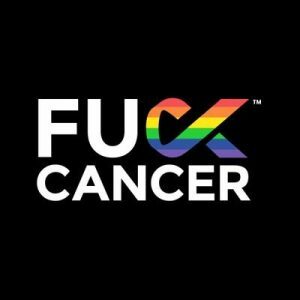 When my partner of twenty years was diagnosed with cancer, we thought the chemo treatments were going to be the worst of it. We were not prepared for life after cancer. No one warned Michelle that she might be a different person. She didn’t even realize it, but with each encounter, bit by bit over time, she found her responses were different than before –unexpected and unfamiliar. No one mentioned the possible long-term effects of chemotherapy. Michelle was comparing herself to other cancer survivors and frustrated that she was not bouncing back like most. She wasn’t told that everyone’s experience is different. As for returning to work when the time came, she found that she wanted to run from the work she used to do and had loved. But now what? Watching her go through all this motivated me to focus my work on cancer survivors and their mental and physical well-being. Overcoming the mental obstacles that stand in the way of recovery after treatment is as challenging as overcoming the physical ones. People need someone who believes in them and can motivate them. That’s why we walk and talk. While my clients are exploring new possibilities, they have just made themselves healthier!